Just a quick update as I still continue to enjoy using PETG. 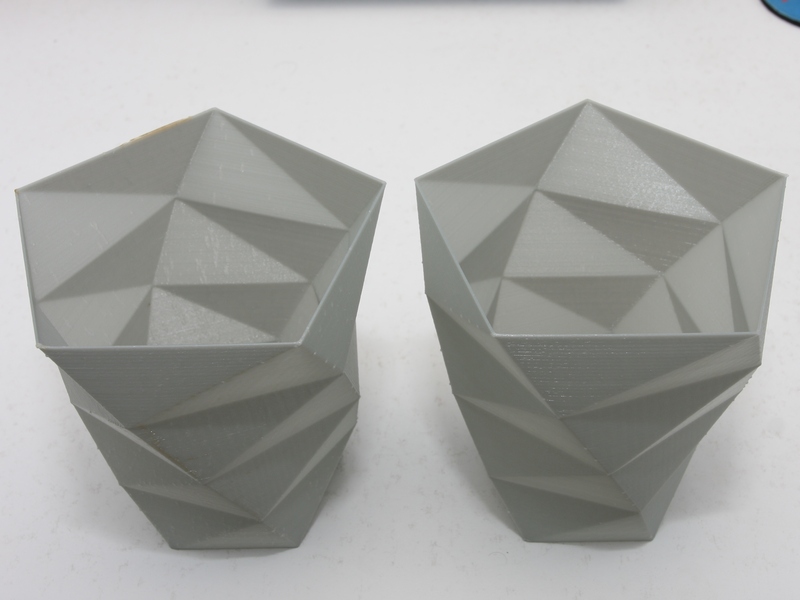 Recently I had a go at testing how PETG goes when printing in vase mode. Testing PETG performance in vase mode. On the left is my first attempt, the right is the second attempt. Mechanically, the prints both feel very strong and flexible despite being 1 perimeter thick. Layer thickness is 0.3mm.